Compassion Fatigue Strategies Course Starts 2/1! 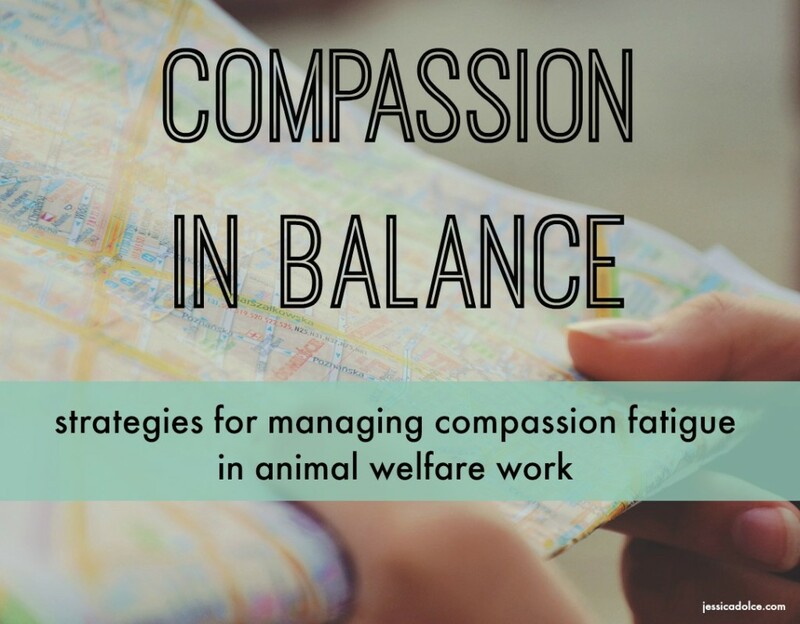 Last summer I teamed up with the University of Florida’s Maddie’s® Shelter Medicine Program to launch Compassion Fatigue Strategies a four module, online, self-paced class for people who work with animals. And guess what? A new session of the course starts on February 1st, 2016! More than 60 animal care and welfare professionals showed up last session to learn about how they could manage the impact of compassion fatigue in their lives. Through weeks of thoughtful, honest, and courageous discussions, we were able to create a truly special learning experience together. Class kicks off again soon and while there’s no magic pill or quick fix for compassion fatigue, there are strategies, tools, resources, and new ways of thinking about the work that will help you transform how compassion fatigue is impacting your life. Students from last summer’s session have shared that the course helped them to better prioritize their tasks, let go of work at the end of a shift, make more time for themselves and their personal lives, become more aware of their own emotions, mental states, and stress triggers, create healthier boundaries for themselves at work and at home, and much more. There will never be a perfect time to take this class. The to-do list will never be done. But if you want to stay in this work for the long haul, doing ethical, effective work and feel better while you do it, then you’ll have to make time to create something new for yourself. Can you give yourself about 2 hours a week (that’s 15-20 minutes a day) to learn and explore practices that can support you for the rest of your career? Can you put yourself on your to-do list this winter? You can read more about the class and what the students had to say about it here. And if you’re wondering how this course is different than my other online class, Compassion in Balance, check this comparison chart out. Or tune in for a few minutes to the video below and I’ll tell you why I think you should take the class this winter. Hint: it has a lot to do with 2017. Ready to make a change? Register Here! I have heard from so many recently who are deeply and properly bewildered. They are concerned about the state of affairs in our world right now. It is true, one has to have strong cojones and ovarios to withstand much of what passes for “good” in our culture today. Abject disregard of what the soul finds most precious and irreplaceable and the corruption of principled ideals have become, in some large societal arenas, “the new normal,” the grotesquerie of the week. It is hard to say which one of the current egregious matters has rocked people’s worlds and beliefs more. Ours is a time of almost daily jaw-dropping astonishment and often righteous rage over the latest degradations of what matters most to civilized, visionary people. You are right in your assessments. The luster and hubris some have aspired to while endorsing acts so heinous against children, elders, everyday people, the poor, the unguarded, the helpless, is breathtaking. Yet, I urge you, ask you, gentle you, to please not spend your spirit dry by bewailing these difficult times. Especially do not lose hope. Most particularly because, the fact is — we were made for these times. Yes. For years, we have been learning, practicing, been in training for and just waiting to meet on this exact plain of engagement. I cannot tell you often enough that we are definitely the leaders we have been waiting for, and that we have been raised, since childhood, for this time precisely. I grew up on the Great Lakes and recognize a seaworthy vessel when I see one. Regarding awakened souls, there have never been more able crafts in the waters than there are right now across the world. And they are fully provisioned and able to signal one another as never before in the history of humankind. I would like to take your hands for a moment and assure you that you are built well for these times. Despite your stints of doubt, your frustrations in righting all that needs change right now, or even feeling you have lost the map entirely, you are not without resource, you are not alone. Look out over the prow; there are millions of boats of righteous souls on the waters with you. In your deepest bones, you have always known this is so. We have been in training for a dark time such as this, since the day we assented to come to Earth. 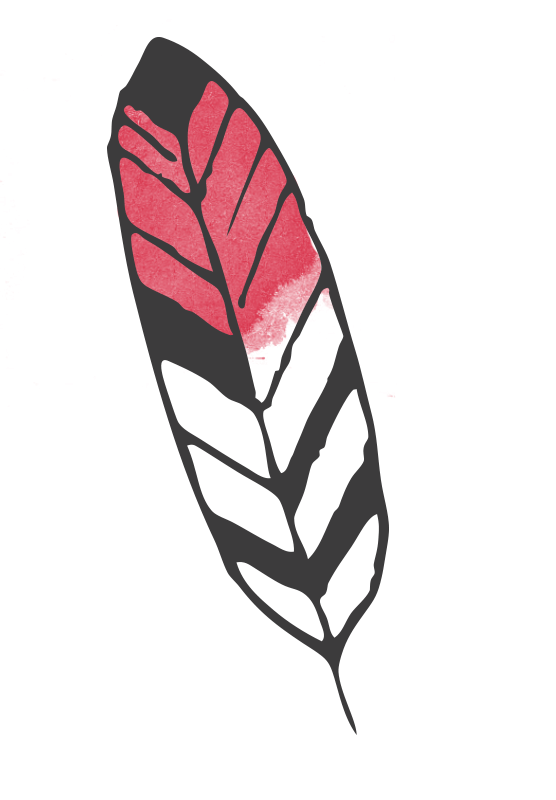 For many decades, worldwide, souls just like us have been felled and left for dead in so many ways over and over — brought down by naiveté, by lack of love, by suddenly realizing one deadly thing or another, by not realizing something else soon enough, by being ambushed and assaulted by various cultural and personal shocks in the extreme. We all have a heritage and history of being gutted, and yet remember this especially: we have also, of necessity, perfected the knack of resurrection. Over and over again we have been the living proof that that which has been exiled, lost, or foundered — can be restored to life again. This is as true and sturdy a prognosis for the destroyed worlds around us as it was for our own once mortally wounded selves. Though we are not invulnerable, our risibility supports us to laugh in the face of cynics who say “fat chance,” and “management before mercy,” and other evidences of complete absence of soul sense. This, and our having been “to hell and back” on at least one momentous occasion, makes us seasoned vessels for certain. Even if you do not feel that you are, you are. Even if your puny little ego wants to contest the enormity of your soul, that smaller self can never for long subordinate the larger Self. In matters of death and rebirth, you have surpassed the benchmarks many times. Believe the evidence of any one of your past testings and trials. Here it is: Are you still standing? The answer is, Yes! (And no adverbs like “barely” are allowed here). If you are still standing, ragged flags or no, you are able. Thus, you have passed the bar. And even raised it. You are seaworthy. In any dark time, there is a tendency to veer toward fainting over how much is wrong or unmended in the world. Do not focus on that. Do not make yourself ill with overwhelm. There is a tendency too to fall into being weakened by perseverating on what is outside your reach, by what cannot yet be. Do not focus there. That is spending the wind without raising the sails. In the language of aviators and sailors, ours is to sail forward now, all balls out. Understand the paradox: If you study the physics of a waterspout, you will see that the outer vortex whirls far more quickly than the inner one. To calm the storm means to quiet the outer layer, to cause it, by whatever countervailing means, to swirl much less, to more evenly match the velocity of the inner, far less volatile core — till whatever has been lifted into such a vicious funnel falls back to Earth, lays down, is peaceable again. One of the most important steps you can take to help calm the storm is to not allow yourself to be taken in a flurry of overwrought emotion or despair — thereby accidentally contributing to the swale and the swirl. Any small, calm thing that one soul can do to help another soul, to assist some portion of this poor suffering world, will help immensely. It is not given to us to know which acts or by whom, will cause the critical mass to tip toward an enduring good. What is needed for dramatic change is an accumulation of acts — adding, adding to, adding more, continuing. We know that it does not take “everyone on Earth” to bring justice and peace, but only a small, determined group who will not give up during the first, second, or hundredth gale. One of the most calming and powerful actions you can do to intervene in a stormy world is to stand up and show your soul. A soul on deck shines like gold in dark times. The light of the soul throws sparks, can send up flares, builds signal fires, causes proper matters to catch fire. To display the lantern of the soul in shadowy times like these — to be fierce and to show mercy toward others, both — are acts of immense bravery and greatest necessity. Struggling souls catch light from other souls who are fully lit and willing to show it. If you would help to calm the tumult, this is one of the strongest things you can do. There will always be times in the midst of “success right around the corner, but as yet still unseen” when you feel discouraged. I too have felt despair many times in my life, but I do not keep a chair for it; I will not entertain it. It is not allowed to eat from my plate. The reason is this: In my bones I know, as do you, that there can be no despair when you remember why you came to Earth, who you serve, and who sent you here. The good words we say and the good deeds we do are not ours: They are the words and deeds of the One who brought us here. In that spirit, I hope you will write this on your wall: When a great ship is in harbor and moored, it is safe, there can be no doubt. But … that is not what great ships are built for. This comes with much love and prayer that you remember who you came from, and why you came to this beautiful, needful Earth. Join me October 3, 2015 for a full day workshop in Wakefield, MA hosted by the New England Dog Training Club. This seminar, designed for people who work or volunteer with animals, is open to the public and you can earn CEs! 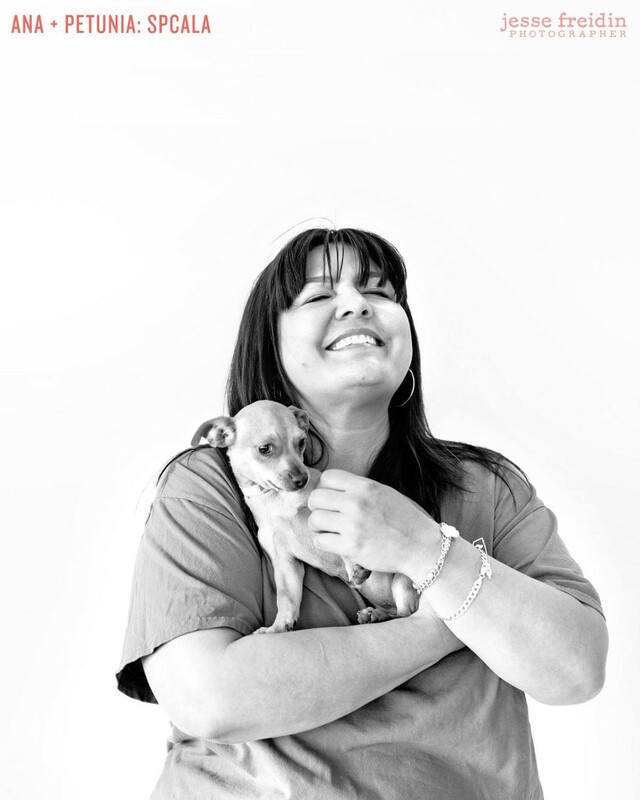 Every day you work to meet the needs of pets and people in your community with great skill and compassion. But when was the last time you took the time to assess your own needs or explore the impact that your complex work may be having on your physical and emotional health? Join us for a full day seminar on compassion fatigue, the natural consequence of stress that results from caring for and helping traumatized or suffering people and animals. This original seminar will cover six strategies and numerous tools we can use to transform and manage our experience of compassion fatigue, so that we can continue to do ethical, effective, and sustainable work. The full day seminar identifies what compassion fatigue is, its symptoms, and contributing factors. We then examine stress management and self-care practices. Participants will have the opportunity to participate in discussions, experiential activities, take self-assessments, reflect and connect with the positive aspects of their work, practice a stress-reduction technique, and create a self-care plan. Join us to learn how to be well, while you do good! Join me on Tuesday, September 15th at 7pm EST for a free webinar about compassion fatigue! Can’t make the live webinar? Register anyway and watch the recording when you have time! As you may already know, compassion fatigue is the natural consequence of stress resulting from caring for and helping traumatized or suffering people or animals. Almost all of us who work or volunteer with animals experience compassion fatigue at some point.But hardly anyone talks about it. So even though it’s a normal reaction to the stress of our work, we think we’re the only ones who are struggling. And for those of you who already know about compassion fatigue and are ready to meet this occupational hazard head-on with the help of a supportive online community, my 8 week online class, Compassion in Balance starts 9/28. You can learn more about this totally unique class, designed specifically for people who work or volunteer with animals, here. Disclaimer: This webinar is NOT a substitution for professional mental health care. If you’re suffering from clinical depression, anxiety, or are having suicidal thoughts, please seek professional help. This week the Diane Rehm Show aired a terrific program called The Science of Resilience and How It Can Be Learned and it got me thinking about why resiliency, being able to bounce back, matters so much for those of who are caregivers or work in helping professions. So how resilient are you? Here’s a quiz to help you get an idea of where you’re at these days. For people who work in helping profession, resiliency is essential. It’s what allows us to engage with people and animals who are suffering each day and cope with the challenges of doing this complex work that is so often filled with adversity. Resiliency is a must-have in your compassion fatigue toolbox. Good news: you can learn it. People who are resilient cope with negative experiences differently than those of us who are less resilient. According to Barbara Fredrickson PhD, resilient people are more hopeful, engaged, and connected to others, which helps them to avoid a major depression (or recover from it) after experiencing something negative. And they also approach uncertainty, something we face a lot of in life and especially at work, differently as well. Less resilient people tend to brace themselves for a negative outcome and they are slow to recognize when things turn out not to be bad. In other words, they were expecting the outcome to be negative and they have a hard time noticing that things turned out ok.
On the other hand, more resilient people tend to wait to see what happens. They don’t automatically assume a negative outcome and therefore are better at discerning the positive and negative in a given situation. And, they don’t project negativity onto a neutral situation. That’s a mighty handy skill when our work life is filled with situations where we don’t have all the facts and so often, will never know the end of the stories that we glimpse during our day, right? What Are The Characteristics of Resilient People? So what do resilient people tend to have in common with one another that allows them to relate to the world in this way? They tend to have strong social support, are more adaptable, have an internal locus of control, and nurture a spiritual life (sometimes this includes religion, but not always). They actively look for and acknowledge the positive (this shouldn’t be confused with blind optimism, pretending negative things don’t exist like a Pollyanna, or a denial of emotion), and often find meaning in helping others. While some people are born naturally resilient, many of us are not. But thankfully that’s not the end of the story. This toolbox is an important concept because it would be misleading to think we simply acquire resilience over time. While the passing of time does allow for us to potentially develop a deeper perspective which can lead to increased resiliency, just as might lead to wisdom, the accumulation of more years on the job or on the planet, isn’t a guarantee that we’ll develop either. Resiliency is a more active and complex process than simply clocking in to life each day. Life is filled with challenges that we work to bounce back from – losses of loved ones and jobs, illness and injuries, violence and heartbreak. And if you work in a helping profession, then the waves of adversity never stop coming. Each day we show up to meet the needs of those who are suffering and in need, we are confronted with loss and grief regularly, and we struggle to do our work with resources that often are far too small to meet the needs in front of us. But rather than trying to run from or fight the waves in a futile attempt to get them to stop hitting us, we can learn to meet those waves more skillfully. And in doing so, we can ride the waves in such a way that we not only survive, but have the opportunity to thrive among life’s many challenges. How Do We Increase Resilience? According the the experts on the Diane Rehm show we can work to reduce our stress levels, face our fears (in small steps), practice mindfulness, build our social bonds, consciously look for the positive, avoid ruminating on the negative, and find purpose in giving to others. In doing this for ourselves it’s not that we’ll prevent difficult things from ever happening, but it will increase our ability to bend and bounce, instead of crashing and breaking when the waves of adversity blow through our personal and professional life. Despite our history, past experiences, and present difficulties, in each moment we have the opportunity to make a choice about how we will perceive and respond to our circumstances. When we build resiliency skills, we strengthen our ability to relate to the circumstances and challenges in our life in a more optimal way. 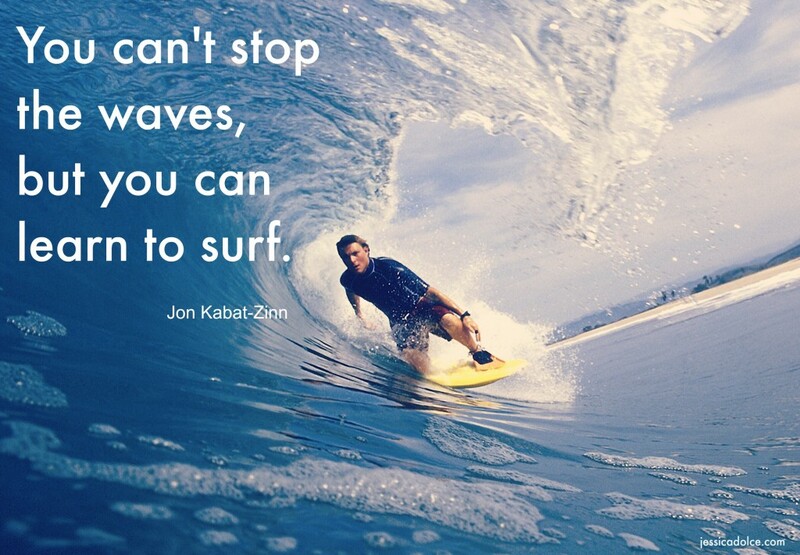 Like actual surfing, increasing our resilience isn’t easy and it takes time. But choosing to become more resilient is possible for all of us, no matter how old we are or what we do for living. So why not learn to ride those waves with skill? 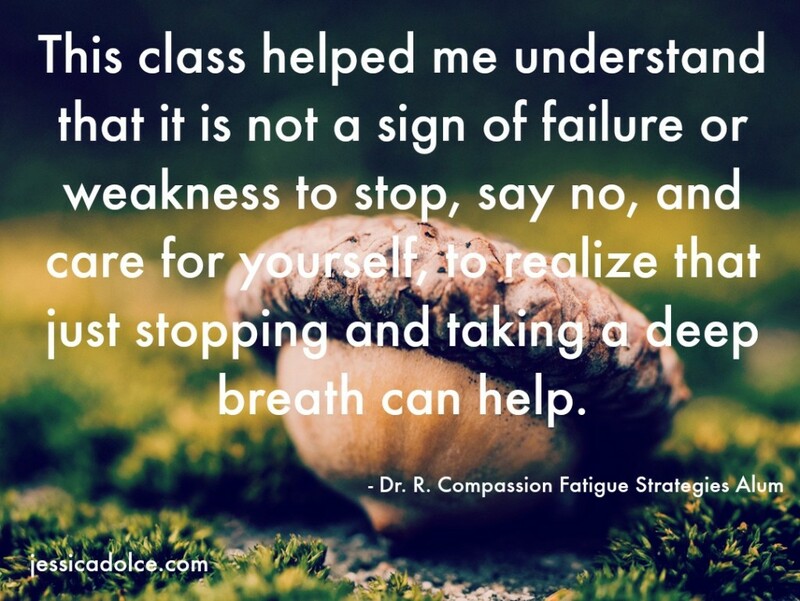 If you’d like to explore resilience further (along with many other topics) with a community of animal care and welfare workers, you may be interested in my 8 week online classes Compassion Fatigue Strategies and Compassion in Balance. Together, we’ll explore strategies to help you be well, while you do good work, including building resilience. The next session begins soon! Photographer Jesse Freidin has been winning awards for years with his gorgeous black and white portraits that capture the bond between pets and their families. Recently, he turned his attention to a different kind of bond between people and pets: the magic between the volunteers at animal shelters and rescues and the animals in their care. Finding Shelter is a unique storytelling project that celebrates the reciprocal healing that occurs when volunteers support companion animals during their time of need. It captures the joy and deep satisfaction that all of us who work and volunteer with animals are lucky enough to experience: to give is to receive. I had a chance to talk with Jesse about his project, and the change he hopes it will inspire, on the eve of his big Kickstarter launch. 2017 Update: Finding Shelter is now on sale!! 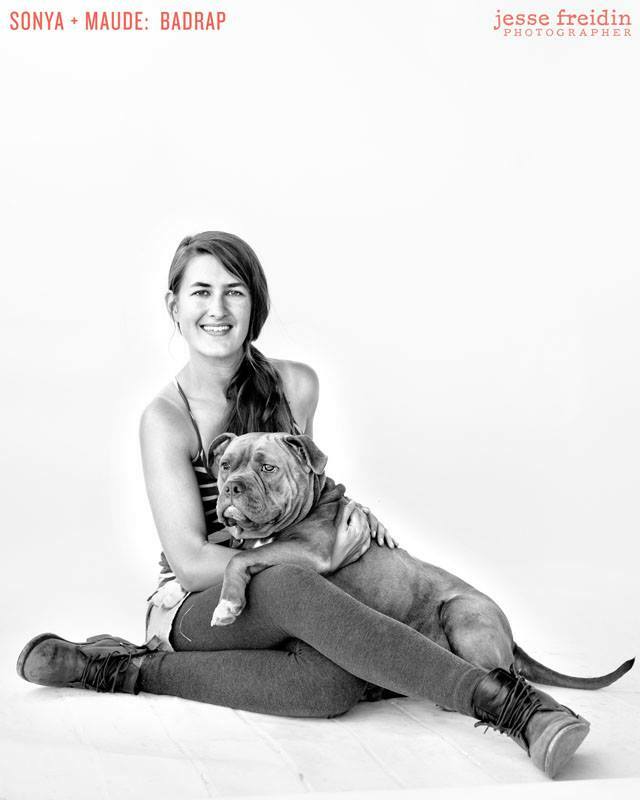 Jessica: What inspired you to focus on the human side of sheltering for this project? Jesse: I’m always interested in telling stories that aren’t being told, which is why I became fascinated with the volunteer’s perspective. So much attention gets paid to shelter animals and of course that’s crucial to educating our society about the reality of over-breeding, pet abandonment, the dangers of not spaying or neutering, and ensuring that more animals get adopted. But no one has ever shone a spotlight on the humans who are the backbone of the shelter system, who are the ones keeping these animals alive. 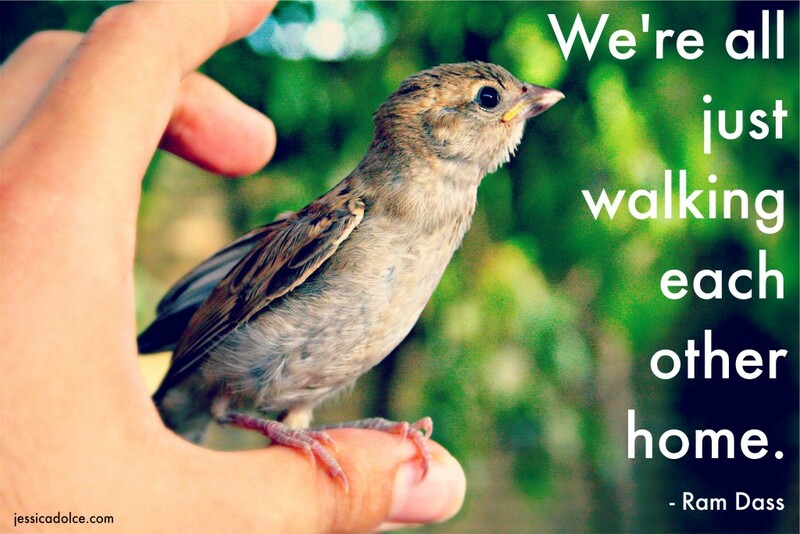 Without volunteers, there would be no animals saved. For me, this is where the real story is. It starts with the people. You’ve written that, “The silent love a shelter dog gives to the human who cares for him is truly healing, making an animal shelter a place for humans and animals to heal together.” How did that element of the work reveal itself to you? The concept of the human/animal bond being a two-way street is really central to all of my work. In our contemporary society we’ve been led further and further away from the roots of our deep connection with dogs, how we co-evolved and came to rely on each other for survival, and how both sides of that relationship benefit equally from the other’s company. As a photographer who gets to observe that bond every day, I was very excited to use Finding Shelter as a platform to articulate how dogs and humans heal each other simultaneously. 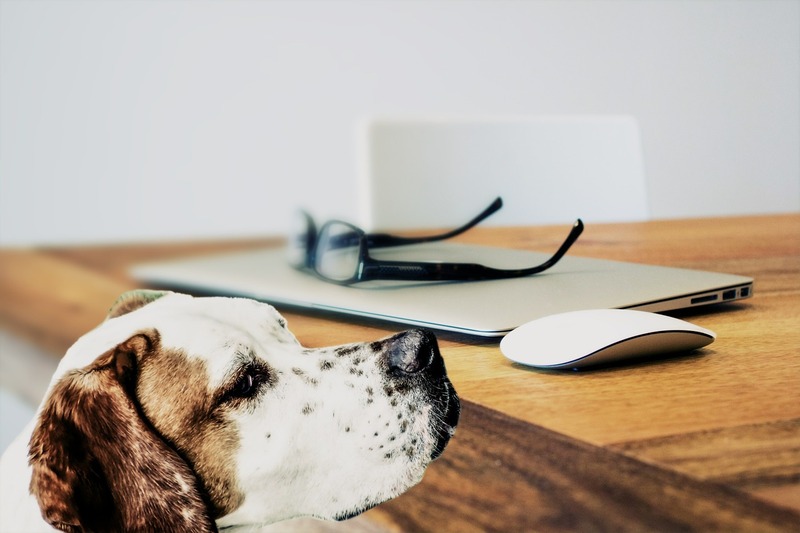 It was always a theory of mine that developed simply through working so closely with people and their canine companions, and after doing a little research on the topic realized that there is genuine merit to the concept. My goal is to help unveil that theory to the general public, and help pet owners foster a deeper relationship with their companions. I love that your project focuses on the immense joy that caring for sheltered pets brings to volunteers, but we also know that the work takes a huge emotional toll on people. Does compassion fatigue, which is a normal response to caring for animals in need, ever come up in your conversations? It certainly does, and it’s a fascinating piece of the puzzle. This is why Finding Shelter is a really important story. The work that is currently being done around shelter life shies away from the harsh realities of what it takes to work within the shelter system. When I’m photographing volunteers for this project I am mostly just chatting with them about their experiences, recording their responses, and giving them permission to be completely honest about how volunteering feels. 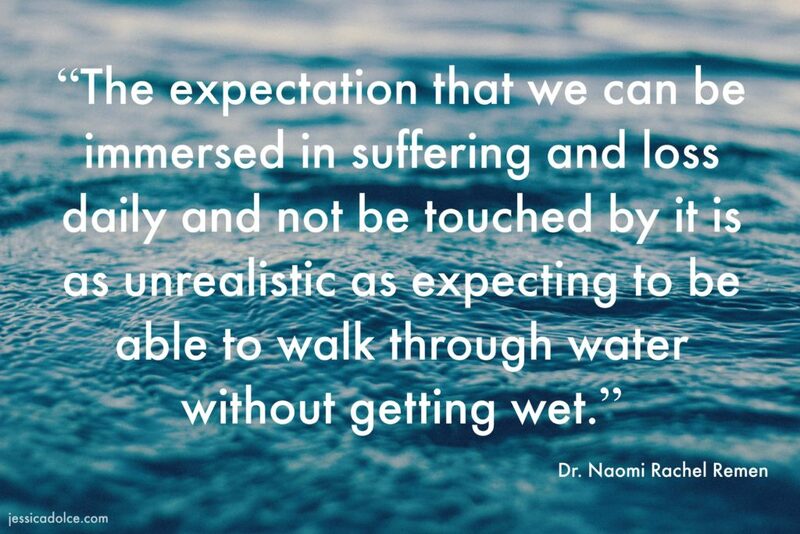 In that process I am hearing such incredible accounts of love, caring, survival, dedication, joy, heartbreak, sadness and of course the reality of compassion simply running dry. But for every heartbreaking story of a healthy dog having to be put down, or a volunteer describing how compassion fatigue made them walk away from shelter work for years, there is always an equally deep account of how getting through that difficult experience gave that volunteer a sense of true hope. You cannot have one without the other, and Finding Shelter presents that balance in a way that I believe no other work has done yet. What do you want the public (the folks who aren’t volunteering or working in animal welfare) to feel or think when they encounter Finding Shelter? I want this work to be a welcoming access point for the public to easily understand that animal shelters are a place of joy and happiness, of healing and comfort, full of dogs, cats, and other pets that are ready to be adopted and provide unconditional love. Through seeing portraits of volunteers and shelter pets loving each other, I hope viewers are moved to adopt or become volunteers themselves. The old stigma of shelters being depressing places where pets die does not serve us anymore. More people need to get involved in volunteer work, more animals need to get adopted, and I want this series to get us closer to that. This is a way to instigate change. What’s one thing you wish everyone knew about pets in shelters and/or the people who care for them? Shelters are full of people who take care of the animals for free. They don’t get paid to walk the dogs or clean up after them, nor do they get paid when they have to see hundreds of animals get euthanized. They simply care deeply about the welfare of those animals, which in turn makes the animals more prepared to find a forever home. I wish people were more aware of the dance that happens between survival and rescue for both the human volunteers and the abandoned animals, because it’s just so incredible. If people would like to support your work, how can they do that? 2017 Update: Finding Shelter is now on sale! Right now I need all the support I can get, as I am about to embark on a 15 day journey across the country photographing hundreds of volunteers for Finding Shelter. Please visit my Kickstarter page which runs from August 11- Sept 11 2015, get to know the project, and donate what you can to help make this project into a beautifully published book. In return you can choose from some really special backer rewards- like a signed copy of the book, a signed print, etc. Follow Finding Shelter on Instagram, Facebook, and get your copy of this unique, life-affirming book here! 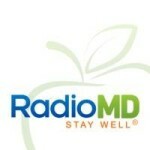 Recently I was interviewed by RadioMD about compassion fatigue and animal welfare workers . The interview, only 10 minutes long, is a very quick introduction to compassion fatigue which might be helpful to you if you’re looking for some basic information. What is compassion fatigue? What are some common signs and symptoms? Compassion fatigue is the physical and emotional exhaustion that arises from the constant demand to be compassionate and effective in helping those in need and who are suffering. It’s the natural consequence of the stress from doing the emotional labor of helping animals and people who are in need. And that’s the truth – we can’t do this work and not experience some emotional wear and tear. Compassion fatigue is an occupational hazard. So there’s nothing wrong with you if you experience it. You’re not broken. It’s a normal reaction to the work that we do. Most of us will experience CF at one time or another in our careers. There is no shame in that. Once we understand this, we can take steps to help ourselves. Using substances to numb out or self-medicate: drugs, alcohol, food, etc. Here’s a PDF with basic info regarding compassion fatigue definitions and symptoms. Are there any unique challenges that animal care workers face that contribute to their experience of CF? While animal care workers have a lot in common with other helping professionals – they do have one unique factor that contributes to compassion fatigue which is euthanasia. No other helping professional is tasked with ending the lives of those they care for. Look, no one gets into the business of helping animals because we want to end their lives, so euthanasia causes a lot of distress for us and on different levels: moral distress, primary trauma, and secondary traumatic stress. One, it’s an ever-present aspect of the work that all of us are doing. Euthanasia is a major issue in our workplaces and in the wider animal welfare community. Two, no matter what your job duties entail – from the front desk at a shelter to the ACO in the field – we’re engaged in helping those who are in need. That means CF is an occupational hazard for all of us. What can animal care workers and other helping professionals due to manage the impact of compassion fatigue in their lives? The first step to managing the impact of CF starts with understanding what it is and learning to recognize how it’s affecting you personally. We can’t do anything about it, if we aren’t aware of what it looks and feels like. The Compassion Fatigue Awareness Project by Patricia Smith has some great information and the book When Helping Hurts about CF in the veterinary professions is also very helpful. Read a book, hire someone to do a workshop at your organization, etc. In addition to understanding and acknowledging CF, we need to assess our own levels of stress and self-care. Often, we spend all of our time and energy caring for others, and we leave ourselves with absolutely nothing leftover to take care of ourselves. 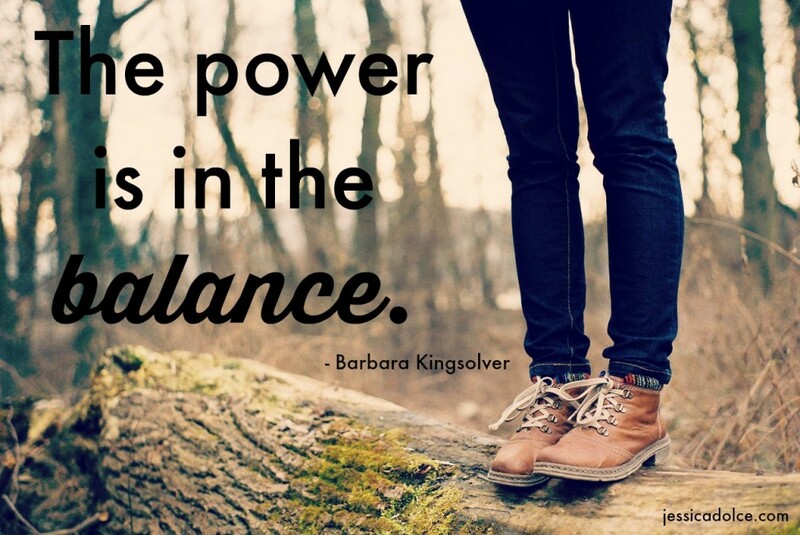 Learning how to set limits and create healthy boundaries, so that we have enough time and energy for daily self-care and stress management is critically important. When we’re suffering from CF, the quality of work can become compromised, which means we can cause harm to others. So we’re ethically obligated to take care of ourselves. It’s not optional. Caring for ourselves is not indulgent or selfish. Authentic self-care fills us back up each day, so we have something to give. Try to do something each day that allows you to be present with yourself, such as deep breathing, meditation, yoga, singing, dancing – anything that allows you to detox from your day and create a sense of groundedness to help carry you forward. Create some internal space for yourself. And finally researchers have shown that social support is of huge importance when it comes to managing compassion fatigue. We tend to isolate ourselves more and more when we’re feeling the effects of CF. We need support. Find a friend at work, talk with a therapist who understands compassion fatigue, build a peer support group that meets each month, don’t ignore the phone calls from your family…do whatever you can to stay connected to those who care about you. If someone is feeling depressed or having suicidal thoughts, what should they do? If you’re feeling hopeless, anxious, depressed, or working through unresolved trauma, please seek out professional mental health help. Self-care strategies alone aren’t enough. Ask a friend or your primary physician for a referral or visit a site like PsychologyToday.com to find a professional in your area. If you or someone you know are suicidal or in crisis, you need to get help immediately. Call the National Suicide Prevention Lifeline at 1-800-273-TALK for help. The call is free and totally confidential. A trained crisis worker will listen to your problems and will tell you about mental health services in your area. If you suspect a friend or coworker is suicidal, encourage them to get help, give them this number or take them to get help, and let them know that you and others really care about them and want them to be well. And keep following up with them, even after the crises looks like it has passed. The good news is that we love our work. Animal care workers have some of the highest levels of compassion satisfaction – which is the joy we get from doing our jobs well. When we take care of ourselves and reconnect to the joys of our work, it can help us become more resilient to the challenges of the work. Making a conscious effort, through simple exercises, to be aware of and acknowledge what we enjoy and find meaningful about our work not only boosts our positive outlook, but it helps us to stay empowered: it’s our choice to keep doing the work we love, despite how difficult it can be. Another good thing is that the conversation about compassion fatigue is growing and more and more resources are being created every day to address this important issue. Veterinary social workers, support groups, online classes, and webinars are all now available to help animal care workers access the help they need to be healthy while they continue to do good work. Where can people learn more about compassion fatigue? Check out the resources listed on my website. You can also take a class with me online. 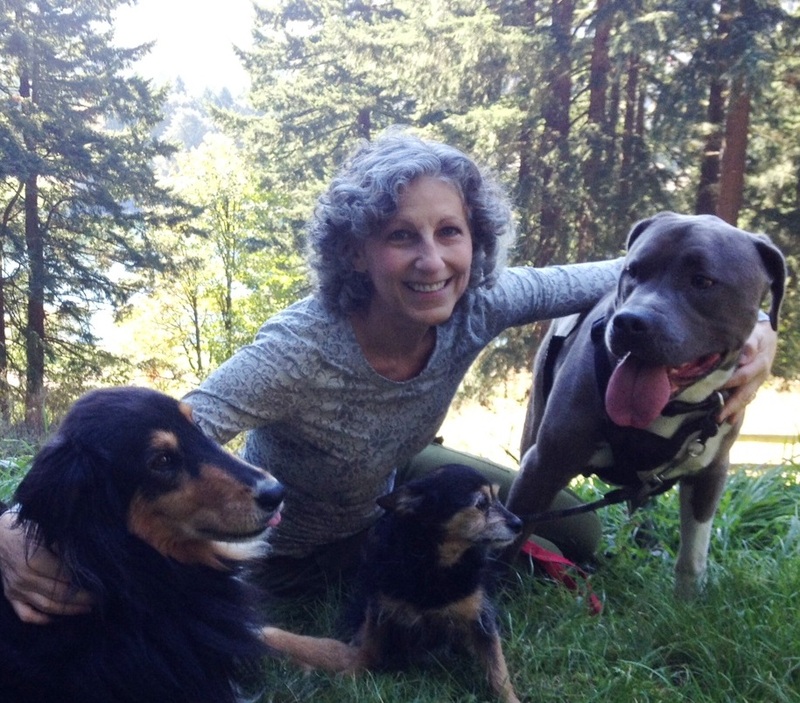 My self-study course, Compassion in Balance, is available to you anytime and was created specifically for people who work with animals. 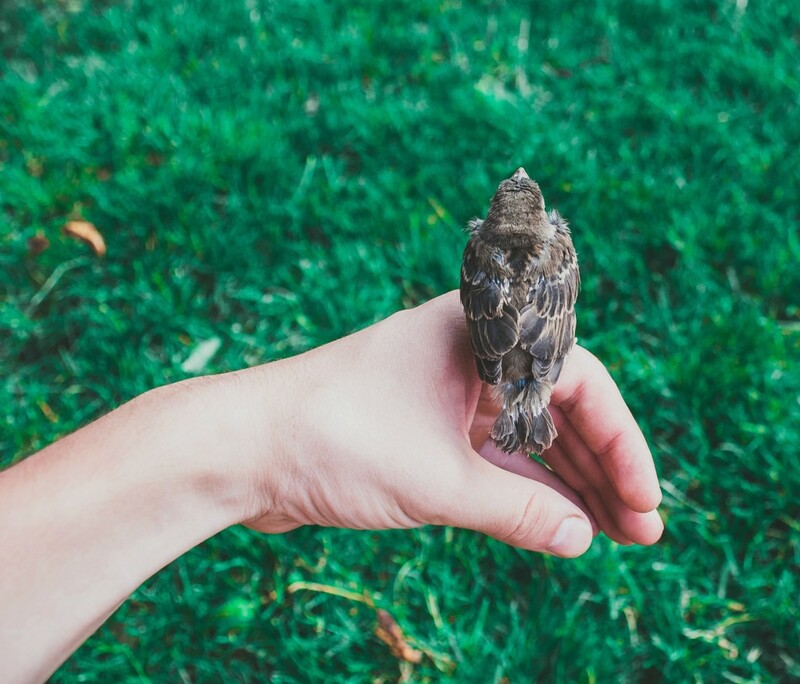 Over the past few months, I’ve teamed up with the University of Florida’s Maddie’s® Shelter Medicine Program to create Compassion Fatigue Strategies a four module, online, self-paced class for people who work with animals. And it starts June 15th! So, you may be wondering: What’s the difference between this new course and my other class, Compassion in Balance? Overall, the class materials are very similar, but the courses are set up differently. The original class, Compassion in Balance, is scheduled, with new materials released each week. Students move through each lesson together at the same time. Compassion Fatigue Strategies is totally self-paced. Think: On Demand. You’ll have access to the whole class on day one and you can do the work at your own speed. But the biggest difference is that this new class offers you the chance to earn continuing education class hours, which Compassion in Balance does not. You may prefer to take this new course via the University of Florida if: You want a class that starts this summer, you like doing things at your own pace, and you need continuing education credits. If those things don’t really matter to you, then you might want to wait for the next round of CiB which will run this September. But, I wanted to make sure you had the option to choose, in case you’re itching for a class right away! Enrollment closes September Open for enrollment now! No matter which class you choose, you’ll still get to hang out with me! Both classes have discussion boards where we can talk about what you’re learning and both classes have multiple live phone calls, so we can get together in real time. To learn more about the new class, check out this page. Or, if you want to go right to registration for the UF class, Compassion Fatigue Strategies, hit this link. And if you have questions, leave a comment of feel free to email me.